Actor, rambling funnyman, and everyone’s favorite grandpa Bill Murray is embarking on a more serious project—a spoken word and classical music album. Titled New Worlds, the record is a collaboration between Murray, famed cellist Jan Vogler, violinist Mira Wang and others. The New York Timesreports that Murray will read selections from famous American authors such as Walt Whitman, Mark Twain and Ernest Hemingway while the classical ensemble plays Bach, Schubert, Piazzolla and more. For example, while the band plays “Moon River” by Andy Williams, Murray will read a selection from The Adventures of Huckleberry Finn. Aside from the literary readings, Murray will also sing songs from West Wide Story, Van Morrison and Gershwin. We’re not really sure what all these writers and musicians have in common, though maybe it’s as simple as Murray combining all the things he likes best. 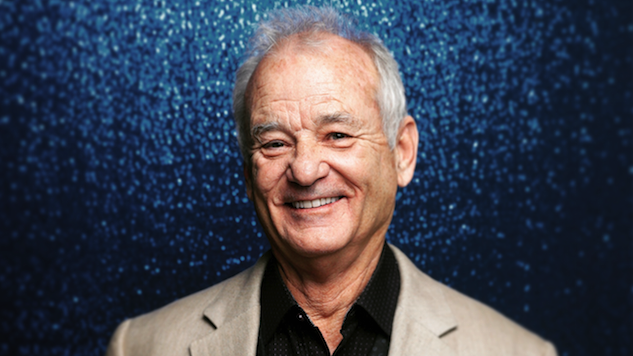 We know Murray has a decent voice from his last project, A Very Murray Christmas. This seems like a more serious and contemplative project than that Netflix Christmas special, but it’s still Murray. If there’s not a little bit of goofiness here and there, we’ll be flabbergasted. Right now, New Worlds is set for an August release, accompanied by a North American tour. In the meantime, don’t miss Paste’s “The Roles of a Lifetime: Bill Murray” to revisit some of the actor’s finest moments.